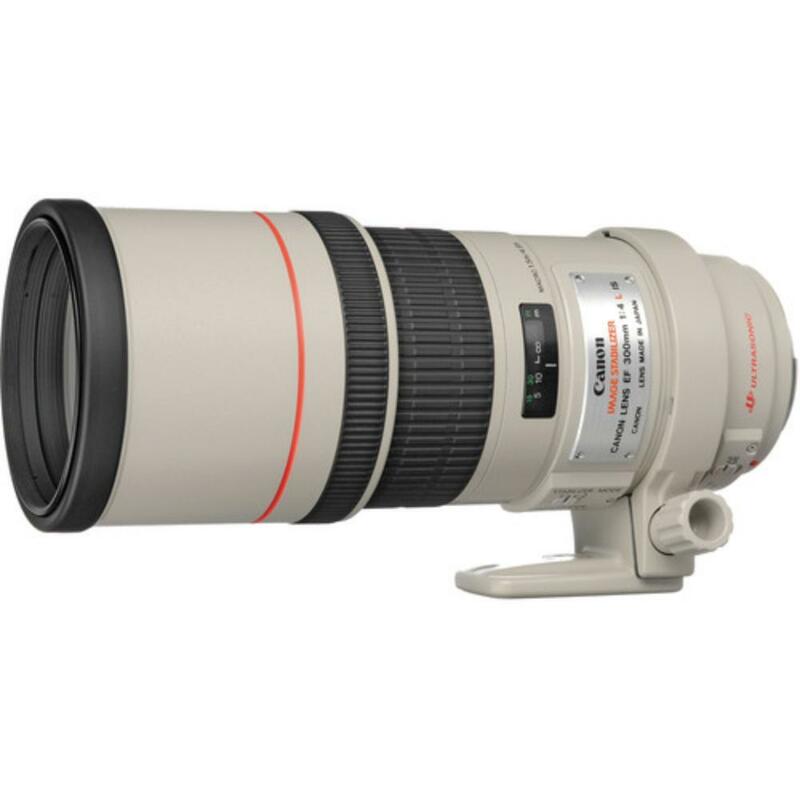 The Canon 300mm f/4L IS USM is a telephoto lens that combines excellent optics and superb handling in a compact package with Image Stabilization. The IS allows safe hand holding at shutter speeds up to two stops slower than otherwise possible - making it even more useful in low light. A special mode intelligently compensates for up and down movement, providing sharp, stable images while tracking. It's also about half the weight of the 300mm f/2.8L IS and it focuses to an incredibly close 4.9', filling the frame with a subject the size of a postcard. It can be paired with both full frame sensor cameras, such as the Canon 5D Mark III, and with crop frame sensor cameras, such as the Canon 7D Mark II. Like all of Canon's fixed focal length L-series lenses above 135mm, it's compatible with Canon's EF 1.4x and 2x extenders. 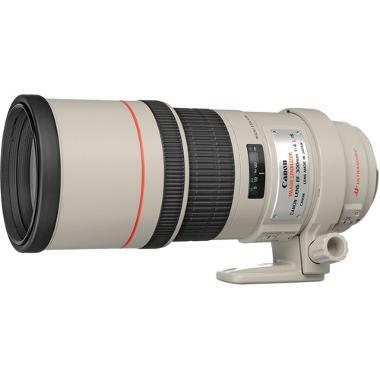 This lens is ideal for outdoor sports shooters and wildlife photography. • This lens is compatible with the 1.4X and 2X extenders but autofocus may be limited.